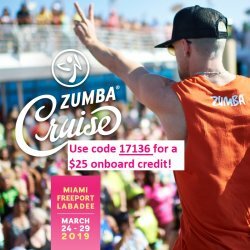 Zumba Cruise 2020! Use code 17136 for a $25 onboard credit! The Zumba Shop > Zumba Cruise > Zumba Cruise 2020! Use code 17136 for a $25 onboard credit! We will update our site when dates and destinations become available! Bonus: Receive a $25 on-board credit when using code 17136! (All non-ZIN members in your group who use the code will receive the $25 onboard credit! 5 Days, 2 Destinations, 1 Amazing Vacation! 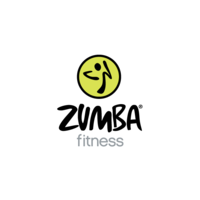 Dates and Destinations will be updated after Zumba makes their announcement for 2020!